Is America now or has it ever been a Christian Nation? What is the meaning of separation of church and state? How can the church be a faithful Gospel witness in a pluralistic society? What will the church look like in the future? 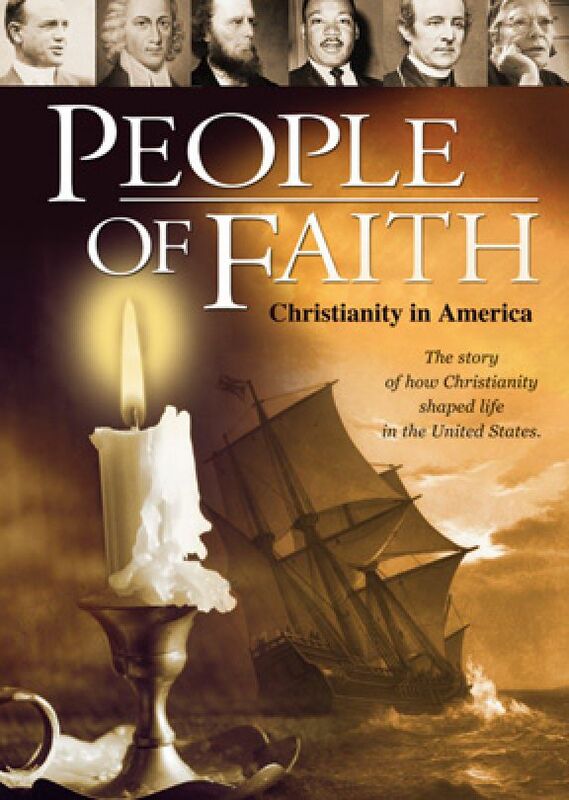 People of Faith: Christianity in America brings perspective to these questions and more. Is America now or has it ever been a Christian Nation? What is the meaning of separation of church and state? How can the church be a faithful Gospel witness in a pluralistic society? What will the church look like in the future? People of Faith: Christianity in America brings perspective to these questions and more. Survey the history of Christianity in the United States from before the Pilgrims to the present in this stunning DVD series. You’ll gain valuable perspective on the people and ideas that shaped America and see how it came to be the first nation in history based upon the ideal of religious liberty. In this six episode DVD you’ll meet the spiritual visionaries, leaders and entrepreneurs who shaped Christianity across the centuries and dramatically impacted the culture we live in today, including Jonathan Edwards, Harriet Beecher Stowe, Archbishop John Joseph Hughes, Martin Luther King Jr. and Billy Graham among many other influential Protestant and Catholic Christians. 2. Many Mansions - a look at the diversity within American Christianity. 3. Rebels with a Cause - a look at some of the ways in which the church has been involved in social and political reform and disputes. 4. Challenges and Change - the role of innovation in shaping the historic and contemporary Church. 5. Home Grown Saints - stories of ten important and representative figures in the sweep of American Church History. 6. The Future of Christianity - a discussion of current issues and future directions. 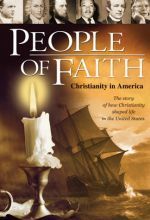 Presented in six parts, this comprehensive production surveys the 400-plus years of Christianity in America, covering pivotal figures such as Jonathan Edward, Harriet Beecher Stowe, Martin Luther King Jr., Billy Graham, and others, while also describing key movements including the Great Awakening, abolitionism, Catholic immigration in the 1800s, fundamentalism, Vatican II and the civil rights struggles of the mid-20th century. Scholars and historians representing evangelical, mainline Protestant and Catholic perspective--including Martin Martyr of the University of Chicago, Mark Noll of the University of Notre Dame, and Kathryn Long of Wheaton College, among others--offer insights and commentary, exploring issues such as the separation of church and state, the challenged of religion in a pluralistic society, the emergence of modern "mega-churches" that seems to follow a consumerist approach to faith, and the evangelical role of popular music and the Internet. DVD extras include bonus interviews, study and discussion questions, and transcripts. Offering a balanced and informative look at an important aspect of American history and culture over the centuries, this is highly recommended. People of Faith Christianity in America presents an outstanding overview of the history and practice of Christianity in America with all of its rich diversity and profound complexity. Respected religion historians excellent narration and skillfully edited video move the story forward compellingly covering a lot of territory in six short episodes. I watched the entire series in one sitting and the time flew by. I highly recommend this program.